The United Nations Educational, Scientific and Cultural Organization (UNESCO) has recognized out island, our town and our tradition. Hvar has as many as five entries in the world cultural heritage list; four on the intangible cultural heritage and one on the list of tangible cultural heritage. 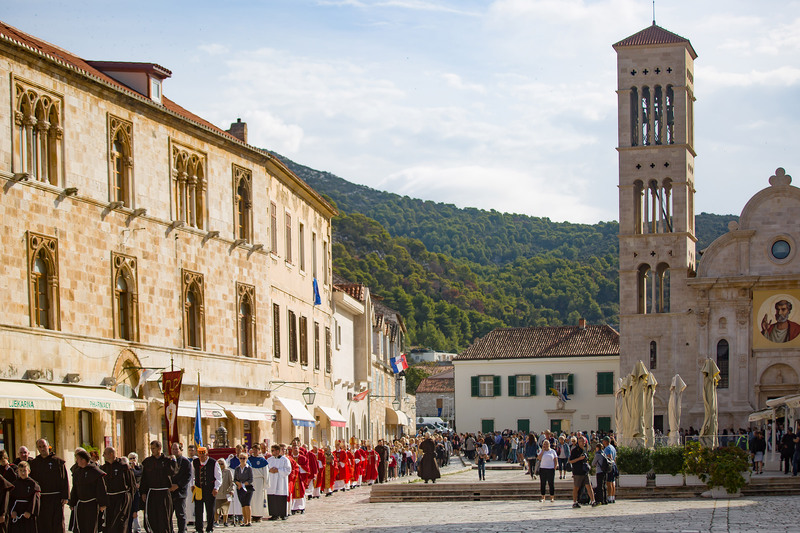 “Za križen” procession, known far and wide just as agave lace made by Hvar Benedictine nuns were our first representatives on the UNESCO intangible cultural heritage list in 2009. Three year after that, they were joined by a cappella klapa singers. This specific musical expression, characteristic of the cultural identity of the whole Dalmatia, is one of our most recognizable symbols in the world. In Croatia today, a cappella klapa singing is cherished and popularized from an early age. In 2013, UNESCO included Mediterranean diet on this prestigious list, with two Croatian representatives: the islands of Hvar and Brač. This is how quality, tradition and innovation in preparing homemade meals from antiquity obtained their global validation and support for preservation. Alongside the intangible heritage available at Hvar, samples of which you can bring home, it is important to mention that the Old Town an Old Town Plain (AGER) are also on the UNESCO list of world cultural heritage in the category of Representative material heritage of mankind. As a cultural landscape, Old Town Plain was first included in the list in 2008, when international experts of the preservation of heritage recognized its value. It is best reflected in the geometrical division of land plots, with roots in Greek plotting in the fourth century B.C. For twenty-four centuries now, men and women of Hvar, as well as our tourists, have enjoyed the fruits of the Old Town Plain, particularly wine and olive oil.